The residents of West Los Angeles can now receive custom airbrush tanning services at LA GOLD™, a just launched spray tanning business owned by experienced health and beauty expert Julie Hoff. Julie has completed her hands on training in spray tanning from the Hollywood Airbrush Tanning Academy. Julie Hoff from West Los Angeles is the most recent graduate from America's most sought after spray tanning training institution Hollywood Airbrush Tanning Academy. After the successful completion of her training, Julie has now started her own independent spray tanning business LA GOLD™. Like many previous students of the academy, Julie was always passionate about having her own business and is now offering both in-studio and mobile spray tanning services throughout the West Los Angeles area. Hollywood Airbrush Tanning Academy was formed in the year 2011, and has already earned fame all over the country, including Canada, as the most trusted destination in the country to learn the art and business of sunless tanning. Prior to her just launched career as a spray tan expert, Julie has been involved as a Nutritionist, Personal Trainer, and Esthetician in the beauty and health industry for more than 12 years. Talking about her interest in airbrush tanning, Julie says, "I'm an entrepreneur at heart and have always wanted to have a business of my own. I believe that Airbrush/Spray Tanning can safely help everyone feel their best by obtaining a beautiful and natural color without overly subjecting themselves to the sun's harmful UV rays." Revealing the future plans for her business, she continues, "I have already achieved my goal of being a business owner. I hope to stay successful in this rapidly growing field. My goal is to be positively well known as one of the top Airbrush Tanning Technicians in the Los Angeles/Hollywood industry." Julie also expressed her high regards for the owner of the Hollywood Airbrush Tanning Academy Simone Emmons. "My training has instilled the courage and knowledge to forge ahead with my dreams and feel confident in knowing that even after I've completed her course, Simone is still available to serve as a mentor, having that support is invaluable. ", she said. To receive top-of-the line airbrush tanning services in West Los Angeles, please call Julie at 310-729-6208 or visit http://www.LAGOLDtans.com. Thousands of people looking to build a career as a spray tanning technician now rely on the Hollywood Airbrush Tanning Academy because the training received in this institution provides an edge over others in this rapidly growing industry. In addition to learning the spray tanning techniques of sunless tanning, all students are also taught about different solutions and equipment, ventilation and OSHA regulations to do this business safely. Simone also offers marketing and branding support to all her students. Hollywood Airbrush Tanning Academy is located in Los Angeles, California and offers an extensive Airbrush Tanning Certification program to anyone who wishes to learn the art and business of spray tanning. 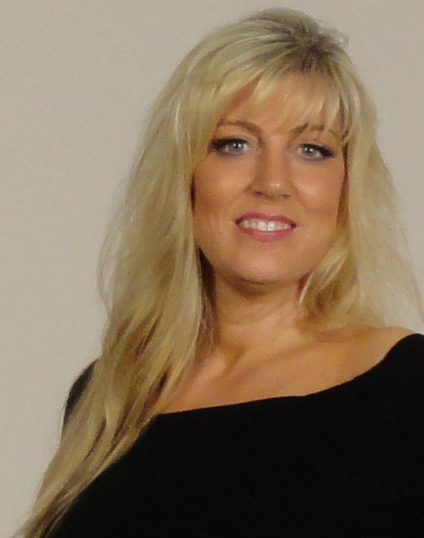 Simone Emmons, the creator of the spray tanning training program has been a professional, licensed spray tanning technician and teacher and has helped numerous entrepreneurs from Utah, Colorado, Nevada, Minnesota, Arizona, South Carolina, Washington, Oregon, Florida, Oklahoma, California and the Island of Hawaii and Trinidad start a business in Airbrush Tanning. The spray tanning program is unique because it provides hands-on and private spray tanning training to individuals who want to start an Airbrush Tanning Business. According to Emmons, this spray tanning program gives individuals a leading edge in starting an Airbrush Tanning business immediately after finishing with the training. Students have the option to choose from a full day course of 10-12 hours or two half day courses of 5-6 hours a day or through live video conferencing. The academy is also launching a website soon so students can learn Airbrush Tanning Online. Many tanning training institutions only educate students on their own equipment and products they sell, however Hollywood Airbrush Tanning Academy does not sell any of their own products and provides training and education on all equipment and good products in the airbrush tanning industry.